Kathy Perry has over twenty-five years of experience in sales and marketing including, online marketing and social media, Facebook Advertising, off-line marketing, customer relationship management and marketing communications. Kathy provides a holistic approach to marketing that goes beyond traditional marketing methodology. Her expertise crosses several business sectors, including legal, technology, communications, marketing, Internet marketing and social media. She launched her own Social Media Marketing coaching system – Hub Socializer in 2009. 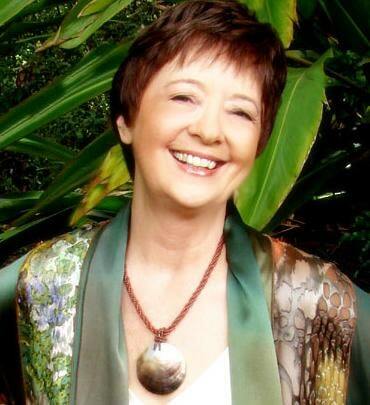 Kathy is an author and professional speaker and has co-authored a book with Deepak Chopra, Jack Canfield and Dr. Denis Waitley titled ‘Stepping Stones to Success’. She is a long term BrainTrust Member on the Jim Blasingame Small Business Advocate Radio Show as their Social Media Expert. Kathy also works with Graduate Students and is one of the MBA Leadership Coaches at the University of Tampa. Kathy has held several executive level positions including, VP of Sales & Marketing with information technology companies, Senior Partner with a full-service marketing services company, Senior Vice President of a CRM software company and Director of Corporate Resources for a marketing automation software company. Kathy successfully established and maintained critical strategic alliances with PricewaterhouseCoopers, KPMG and MasterCard and her experience spans the boardrooms of major corporate clients like, General Motors, Time, Inc., and JC Penney, to the small and mid-sized businesses of Tampa Bay, Florida and everything in between. She conducts workshops and seminars on various topics, including; ‘Facebook Advertising for Business Success’, “Social Media – a MUST-HAVE Marketing Strategy’, ‘Social Media and Self-Empowerment Tools for Success’, ‘Online Marketing and Social Media Strategies to Grow Your Business’, ‘Your Marketing Tree Matrix – Harvesting the fruits of your Strategic Communications’, ‘Web Strategies for Success through SEO’, ‘The Mirror Factor, a Reflection into You and Your Business’ and the ‘Life/Work Balance Tree – Does it need Pruned or Nurtured?’. Kathy is the author of a personal development book, ‘Reality TV & You – 8 Secrets to being the Director in your Life’s Reality TV Show using the Law of Attraction.’ Kathy also offers an ebook that is available for free download titled 52 Social Media Tips. Kathy has been honored with numerous awards throughout her career; 2012 Pinnacle Professional, NAPW 2010-2011 VIP Professional Woman of the Year, 2006 Tampa Bay Business Journal Business Woman of the Year Finalist, 2002-03 “Woman of the Year” for American Business Women’s Association – Liberty Chapter and 2002 Greater Tampa Chamber of Commerce Small Business Outstanding Leader Award Finalist. Her many awards include Millionaire’s Club, Super Achiever’s Club, as well as ranking #1 in the United States in 1989 in the business systems division of a Fortune 500 company. She served on the Board of Directors of Sales & Marketing Executives for two years and Chaired the 2003 Peak Performer Awards. Kathy established a successful Internship Program with the University of South Florida. She also created a University Certificate Program for Marketing Automation with USF, to help bridge the gap between marketing and automation. Kathy is the Founder of PeakPerformanceWomen.com and online mentoring resource for women on enhancing body, mind and spirit. Kathy is known for her high ethics, caring about people and utilizing creative and innovative ideas to enhance business and the community.